1991: University College London. PhD. "Fly-ash particles in lake sediments: Extraction, characterisation and distribution"
1991 - 1995: Research Fellow - Environmental Change Research Centre, UCL. 1984 - 1987: British Antarctic Survey - Limnological Field Assistant, Signy Island, South Orkneys. Neil also manages the UCL Environmental Radiometric Facility which is housed within the Department of Geography. This facility uses low-background hyper-pure germanium gamma spectrometers capable of measuring low-level environmental radioactivity. Its main work involves producing chronologies for lake sediment cores. For a list of research publications click here. Neil L. Rose (ed.) 2007. 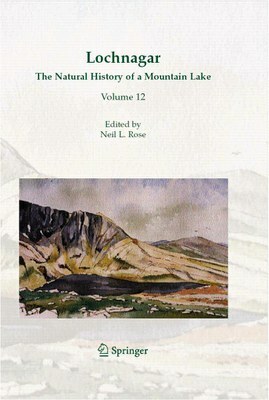 Lochnagar: The Natural History of a Mountain Lake. Developments in Paleoenvironmental Research. Volume 12. Springer. Dordrecht. 534pp. Neil Rose's research has focussed on the use of lake sediments as natural archives of atmospherically deposited pollutants, particularly in remote areas and the use of fly-ash particles (especially spheroidal carbonaceous particles - SCPs) as a direct measure of pollutant deposition, as a dating tool for lake sediments and as a surrogate for other deposited pollutants. More recently, Neil's research has also included the scale and causes of temporal changes in sediment accumulation rates and public participation in aquatic science through the Lottery funded OPAL project where he led the OPAL Water Centre. His research has been undertaken in many areas of the world including Greenland, Svalbard, China, Tibet, Alaska, Uganda and many areas of Europe. Impacts of atmospheric pollutants such as heavy metals, persistent organics and especially particulates from the combustion of fossil-fuels on the environment (freshwater, terrestrial and marine systems) on a UK, European and global scale. Spatial and temporal distributions of fly-ash particles using natural archives and the use of the fly-ash particle record as a chronological tool. Relationships of fly-ash particle records with those of other deposited pollutants (e.g. trace metals, persistent organic pollutants) and their use as surrogates. Movement of pollutants to remote areas. Hydroscape: Connectivity x Stressor Interactions 2015 - 2019.Hydroscape is a 4-year NERC funded project which aims to determine how stressors and connectivity interact to influence biodiversity and freshwater ecosystems across Britain. A series of multi-disciplinary studies at landscape-national scales will provide the first general understanding of how UK freshwaters are connected across the landscape and how stressors including eutrophication; acidification; trace metals; invasive organisms and disease interact with connectivity to influence ecosystem structure and function. LTLS: Analysis and simulation of the long term / large-scale interactions of C, N and P in UK land, freshwater and atmosphere. 2012 – 2015. This NERC funded project aims to account for observable terrestrial and aquatic pools, concentrations and fluxes of C,N and P on the basis of past inputs, biotic and abiotic interactions and transport processes to assess responses to catchment nutrient enrichment over the last 200 years; determine the effects on transfer from land to atmosphere, freshwaters and estuaries and assess the effects of these on biodiversity. OPAL (Open Air Laboratories) 2007 - 2013. Funding from the National Lottery via the Big Lottery Fund. OPAL aims to (i) Change lifestyles to get people to spend more time outdoors; (ii) develop innovative educational programmes that can be accessed by all ages and abilities; (iii) enthuse a new generation of 'environmentalists'; (iv) develop a greater understanding of the state of the natural environment especially in more impoverished areas; (v) develop partnerships between the community, voluntary and statutory sectors. 31 projects comprise the OPAL 'portfolio' to attain these aims. Our role is to run the OPAL Water Centre. This involves not only coordinating the projects related to the national OPAL Water Survey (development and distribution of 40,000 survey packs and associated educational materials) but also undertaking original research including establishing a biomonitoring programme and assessing the impact of toxic pollutants on freshwaters. Lake sediment evidence for long-range air pollution on the Tibetan Plateau. 2006 – 2009. Funding by The Leverhulme Trust. Project to assess the historical records of atmospherically deposited pollutants using the sediments of lakes taken along a transect across the Tibetan Plateau. The project collaborates closely with the Institute of Tibetan Plateau Research (ITP) and additionally provides background data for ITP monitoring activities and a base-line for monitoring the role of future impacts. Western Airborne Contaminants Assessment Project (WACAP). 2003 - 2006. Project designed and implemented by the United States National Park Service (Air Resource Division) in cooperation with US Geological Survey and USDA Forest Service. Project involves sampling (lake sediments; vegetation; snow; fish; water) along latitudinal and coastal/interior gradients in seven National Parks for the impacts of atmospherically deposited pollutants. Lake sediment toxicity in the UK: The role of trace metals and persistent organic pollutants. 2002 - 2003. Funded by the Department for Environment, Food and Rural Affairs. Investigation into the role of pollutants in the toxicity of sediments to two freshwater invertebrates Chironomus riparius and Daphnia magna across a pollutant gradient at lake sites across the UK. Using spheroidal carbonaceous particles (SCPs) to establish a reliable recent lake sediment chronology for the future. 2000 - 2002. Funded by the Natural Environment Research Council (NERC). Fly-ash particles and heavy metals in lake sediments in Europe: Implications for human and environmental health. (FLAME). 1994 - 1996. Funded under the EU COPERNICUS programme for Cooperation in Science and Technology with Central and Eastern European countries. FLAME developed a characterisation for the particulate emissions from the major fossil-fuels used industrially throughout Europe and applied this to particulates extracted from 200 contemporary lake sediments across the four countries to determine the distribution and sources of these and associated pollutants. The project also determined heavy metal concentrations in the lakes and their catchment mosses. Open Air Laboratories (OPAL) (2007 - 2013) is a consortium of projects funded by the Big Lottery Fund and aims to bring scientists and the public closer together in a community-led study of local environments by organising activities which anyone of any age, background or ability can get involved with. As PI of the OPAL Water Centre, Neil led the development and management of an innovative educational national water survey programme accessible to people of all ages and abilities, promoted especially within disadvantaged communities. The Survey encouraged greater understanding of the aquatic environment through public participation in water quality and aquatic biodiversity assessment and used high quality research to link the community, voluntary and statutory sectors. Over the 6 years of the project, the OPAL Water team based at the Dept of Geography, UCL worked with many local and national organisations, community groups and individuals across the country to assess the health of the nation's lakes and ponds.Find out more about the OPAL Water Survey here and the research of the OPAL Water Centre here. Engaging deprived communities with water science: One of the OPAL Water Centre’s primary objectives was to facilitate participation in water science among demographics which might not otherwise have the opportunity. These included deprived communities, people with special educational needs, victims of domestic abuse and black and minority ethnic groups. Provision of data supporting local and national governmental environmental interventions: OPAL Water centre research enabled local groups to develop conservation policies and also provided key data for the UK contribution to a 2010 consultation on the Stockholm Convention on Persistent Organic Pollutants. This arose from the OPAL Water team’s detailed monitoring and research at 9 lakes across England providing new data on pollutants listed as Priority Hazardous Substances under the European Union's Environmental Quality Standards Directive (2008/105/EC), such as mercury, PCBs (polychlorinated biphenyls) and brominated flame retardants. A report to Defra produced by AEA Technology used OPAL water and fish data to provide evidence for bioaccumulation of HBCD (hexabromocyclododecane) in UK freshwaters to demonstrate that “values are well above the bioaccumulation criterion...for listing under the Stockholm Convention”. It noted that no other UK data were available and made specific reference to OPAL research outputs, concluding these data provided “ample evidence of bio-accumulation…of HBCD in biota”. HBCD has since been included in the Stockholm Convention for proposed elimination. At a local level, the OPAL Water Centre provided data on Fleet Pond in Hampshire to Hart District Council to help their restoration strategy (first phase 2012–15). Hart District Council’s Fleet Pond Management Plan 2010-2015 drew on OPAL Water Centre bathymetric, sediment and aquatic biota monitoring survey data. Dredging of Fleet Pond began in March 2012 and OPAL data will additionally be used to help assess the success of current restoration activities. Beth is applying micro-geoforensic techniques to identify geographical locations of internationally operating illegal supply chains. Trace metal contamination of lakes and ponds in London. Spatial and temporal trends of power station derived pollutants in London. Trace metal storage in lake systems and its relationship with atmospheric deposition with particular reference to Lochnagar, Scotland. Particulate air pollution in central London: characterisation, temporal patterns and source apportionment. You've read the book... now watch the movies! Lochnagar is a mountain loch located to the south-west of the Cairngorms in Scotland. It has been part of the UK Acid Waters Monitoring Network since 1988 and a key site for European mountain lake research projects. In August 2002, an automatic camera was deployed in the catchment. The camera took a photograph of the loch and the western part of the catchment everyday at midday. Amongst other things, this allowed us to follow the extent and duration of snow and ice cover and to observe how the ice moved during melting. In 2008, after 6 years of enduring some of the harshest weather in the UK, the camera failed and was removed. The following videos show these daily pictures as short time-lapse sequences. Each covers the photographs of Lochnagar over a calendar year. The sequences are largely unedited. Only a few images have been removed when the camera lens was obscured by snow or rain drops.